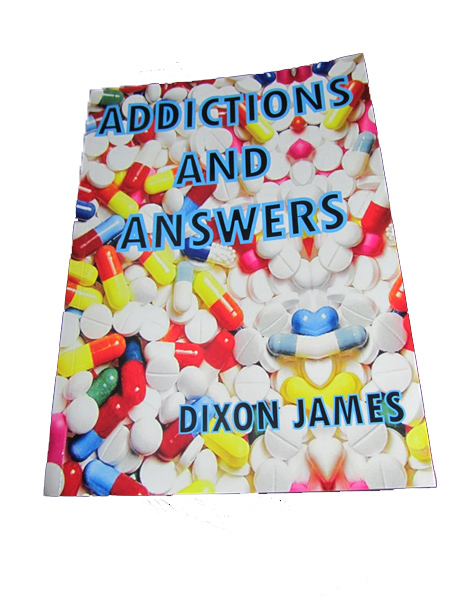 Addictions and Answers: Dixon James. Publisher. 2014. No of pages. Drug addiction in South Africa is one of our biggest social problems. SA drug statistics indicate that drug consumption in South Africa is twice the world norm. It is estimated that at least 15% of South Africa’s population have a drug problem. Drug abuse is costing South Africa R20-billion a year and could pose a bigger threat to the country’s future than the Aids pandemic. The reality of drug addiction and its devastating impact is that it is no respecter of persons. Many churches in our country have people struggling with addictions often feeling very hopeless. Pastors too feel ill-equipped to deal with the problems associated with addiction and often limit their ministry to prayer. In his book Addictions and Answers, Dixon, tackles the addiction problem from a practical pastoral perspective, with over 30 years of ministry experience. The book initially prepared for ministry students provides a useful resource for all church leaders involved in ministries to people with addictions. The comprehensive book provides statistics, facts and figures of the problem in SA. It also increases literacy for lay people on the many different types of drugs and their common street names. In many ways this helps pastors and other ministers speak the language of addicts. The second part of the book explores a variety of pastoral, medical and psychological treatment options. It provides practical strategies for helping addicts in a Christian community. This book is written from a lay perspective, easy to read and with a pastoral heart. Pastor Dixon has personally experienced the devastating impact of addictions in his close family and wanted to find ways of equipping the local church to reach out in compassionate and informed manner to people with addictions. His vision is to continue to expand the local churches commitment to a day a month of fasting and prayer for people with addictions. The book provides a useful companion to churches in this ministry area and supplements other professional books on Christian counselling for addictions.